Well, that's it. See you Friday! That's just a little meditation humor. 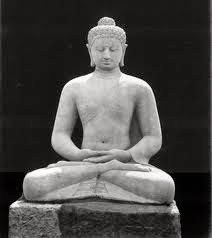 But it is kind of funny that I am even talking about meditation. Because I am a type-A personality who has been known to scoff at any New Age self-help type stuff. I grew up in a household in the Midwest with a Swedish mother who didn't brook any nonsense when it came to "new fangled thinking." She didn't believe in anything she couldn't see, though I find that funny looking back, because she was religious. Growing up, I was the hyper one who always wanted to be "doing" something. I couldn't imagine sitting in a chair alone with myself. In college, I would be that kid who would burst into a room loudly announcing I was heading out for an evening of fun and who would like to join me, when it was obvious everyone there was stoned and just wanted to lie around grooving to Vanilla Fudge. When I moved to San Francisco in the early 70's, everyone we knew from Michigan came out to visit and several of our friends were into TM (Transcendental Meditation). It was all very mysterious. They had mantras that were secret (probably because as it turned out, everyone had the same one!). 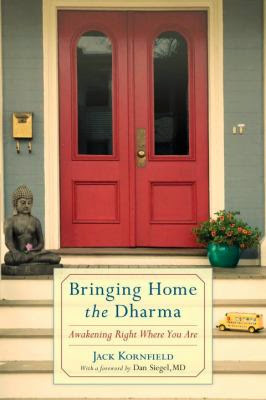 I remember coming home from work one time and finding one of our friends sitting on the floor, up against the wall, legs crossed in the lotus position, eyes closed and not acknowledging my arrival. I thought that was very rude. My first library job was in a very rural area in northern California. Twice a week I rode the bookmobile to various locations in the County and one of them was up a mountain where a Transcendental Meditation University was located. I interacted with the students, but I thought it was all rather hippy dippy. So meditation has been hovering around me for years, but I was never really interested. Ten years ago, we moved away from where we had lived for 30 years to a new place where we knew no one. The nest was empty, and though I found a job and had colleagues, I also suffered from bouts of loneliness. And a year ago, as retirement was looming, I started thinking about what I was going to do with all of that free time I anticipated. And when I did retire, I found it to be very stressful. Check out some of my early blogs and you can see what I was dealing with. 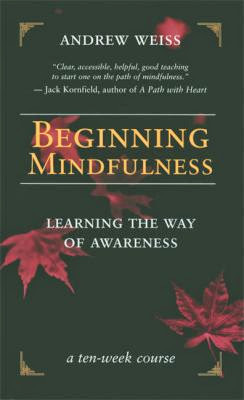 I think when we are confronted with big life changes, that's when we open up to new ways of thinking. And sometimes the forces convene to lead you on a different path. I have always been one to want to improve myself, but I wouldn't say I read a lot of self help books. However, being in the library profession I read book reviews and titles would come across my desk. 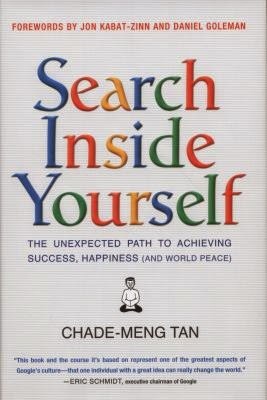 I stumbled upon the idea of "emotional intelligence" and a book called "Search Inside Yourself: The Unexpected Path to Achieving Success, Happiness (and World Peace)" by Chade Meng-Tan, who worked for Google and trained employees there on how to apply mindfulness techniques in order to succeed at work and in life. His class has become Google's most popular class and always has a long waiting list when it is offered. As the title indicates, it uses a somewhat self deprecating light hearted tone to put out an important and serious message: how to nurture your "emotional intelligence" in order to deal with stress. One of the tools that I was particularly taken with was the mnemonic "Siberian North Railroad," which helps you remember to Stop, Breathe, Notice, Reflect and Respond when confronted with stressful situations. And he talked about meditation. There it was again. The idea of meditating was following me around. And you know how I feel about Oprah. Right there in my email was a special invitation, just for me, from Oprah! Inviting me to join her and Deepak Chopra in a 21 Day Meditation Challenge. And it was free! How could I say no to Oprah? Every day for 21 days an email would appear in my inbox, and there would be the link for the day's meditation. Oprah would say a few words and then Deepak would come on to give me my "Centering Thought" and lead me to the day's meditation. "My security and peace are within." "Today and every day I give that which I want to receive." It certainly can't hurt to be thinking thoughts like that as you go through your day, right? My first whole session took about 20 minutes, 15 of it sitting quietly, listening to tinkly New Age music and my trying not to open my eyes or wonder when Deepak was going to ring that little bell to let me know it was over or thinking about what I was going to cook for dinner. But then as I did it every day, I started to "get it." Meditation is not this secret, mysterious thing. Meditation is being alone with yourself. Yes, there can be a mantra, but you can do just as well counting your breaths or watching clouds pass by over a blue sky in your mind. Focus on whatever you want. It doesn't have to be 20 minutes, it can be five minutes or forty minutes. Whatever you are comfortable with. Yes, your mind will wander and thoughts will come and go. That's OK. There is no right or wrong way to do this. Just return to your mantra or counting your breaths. 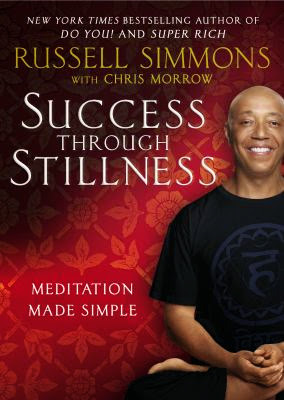 As Russell Simmons says in his new book (see, even the celebs are getting into this) "Success Through Stillness,"
"Meditation does not mean the absence of thoughts. Meditation does not mean going into a trance. Meditation does not mean forgetting who or where you are..."
"It's just that meditation allows you to have a different relationship with your thoughts...Instead of being overwhelmed or controlled by your thoughts, you get to detach yourself from them...and start choosing how you want to live in a controlled, peaceful and contented manner." (his book is a very good beginner's guide, too). You WILL have thoughts, but as you settle into meditation, your thoughts will be "quieter" and you will be able to see those thoughts from a different perspective, and some of those thoughts might just lead you to where you need to go. But every so often you get into those moments between thoughts and those moments are YOU. Because believe it or not, you are not your thoughts. Thoughts are just that -- thoughts. YOU are pure consciousness. Before I get too drifty here, think of the fact that most people are going through life asleep - acting, doing, living without thinking about how they are acting, what they are doing or how they are living. Meditation is just about being conscious of our existence, being aware and in so doing, we become more alive and more in tune with ourselves and others. It's about attitude and compassion. When I retired, I was very worried about the social aspect of my job. Here we were, far from our children and family, and work had provided a social outlet. Once retired, how would I deal with the possibility of loneliness? I always remember something which I think David on Real World New Orleans said (I know what you are thinking and, yes, I still watch it and let me remind you of something Buddha said, "Judgment is the road to suffering." I am just saying). He said, something like "I am never lonely because everywhere I go, I am there." That quote has stuck with me, because I thought it was such an interesting thing to say and to think, especially since I have suffered from my share of loneliness. 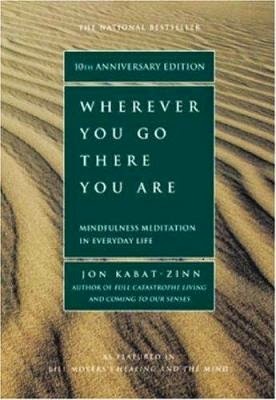 And then I came across another book, "Wherever You Go There You Are: Mindfulness Meditation in Everyday Life" by Jon Kabat-Zinn and realized where Real World David got that from. Meditation is hanging out with yourself. Your true self. And hopefully you like yourself enough to hang out! So as I continue on my retirement "journey" - I can't believe I just said that. Everything is a "journey" these days - But anyway, through meditation, I am getting to know myself better, and it is helping me enjoy life more, whatever form that life may take. It helps me accept what comes my way, how things are. It gives me a more positive attitude toward myself and others. It has moved my A-type personality to a "B." I highly recommend your giving meditation a try, whatever form that might take. As Deepak might say, "Sat Chit Ananda." Existence, consciousness, bliss. I am working on that bliss part. If you are interested in learning more, here are some other titles you might enjoy. Stay tuned for a blog on tarot cards. 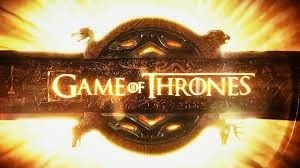 I am getting into those too! Any meditation tips to share? Check your local library for books mentioned.